It’s that time of the year again, Winter… And when winter creeps upon our doorstep so does the ice on the lakes. Ice fishermen from all over get the urge to get out and do some ice fishing. You will want to make sure you have a sturdy, sensitive, quality rod like the St.Croix Legend ice fishing rods. These fishing rods will help you catch your limit. Legend ice fishing rods have excellent sensitivity because of the black anodized spring coiled strike indicator system. This provides above par bobber versatility and performance of these ice fishing rods. You will see that a fish is on the end of your line before you even feel it! That’s the kind of ice fishing rod every angler dreams about having. The spring coil system is fully adjustable and also interchangeable which is useful in the customization of the rods. When you get the rod customized to suit you just right; don’t be surprised if you catch your limit time and time again. You’ll be hooking the fish before the fish even knows what hit’em! There are 3 lineups in the legend ice fishing rod series that we will be discussing throughout this article. The legend gold came out for ice fishing season 2013/2014. The Silver edition came out that same season and the Black edition came out in 2017/2018 season. All 3 of these editions have the coil spring bobber system (sold separately) which makes them so sensitive. Most ice anglers opt for the ultralight and or light versions when fishing for fussy biting and up feeding fish because of the high sensitivity built right into these rods. The whole legend series is built on a graphite blank. This is as solid as it gets in an ice fishing rod. 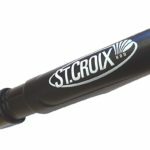 The St.Croix Legend ice fishing rods are very strong rods that will take the abuse and you can keep on fishing! This series is made of 24k gold plate. The gold color helps if you are fishing on a cloudy day or if you’re night fishing with a bad light source. This series also has a Fuji SK2 reel seat. The handle is made of neoprene-skin. Neoprene is a synthetic rubber that can maintain its flexibility over a wide temperature range. This makes it ideal for ice fishing. The gold series comes in only one length which is 24″. 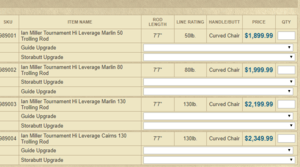 That is what the length is for the original St.Croix Legend ice fishing rods. The black series legend rod is the top of the top in the Legend series of ice fishing rods. This series is one of the best freshwater ice fishing rods on the market. Black features a stainless-steel strike indicator. It’s super-finesse and high-tension so you know when those fish are biting. It has the adjustability with the interchangeable spring indicator system. That is what makes this rod more sensitive than others on the market. This lets ice anglers notice the smallest nibbles and catch that fish before you even feel it. The fully adjustable and interchangeable spring indicator system is much more sensitive than any other type of indicator, allowing ice anglers to see the most subtle bump or strike before it can be felt. The St.Croix Legend Black ice fishing rods come in many models with different lengths and tension supports. The St.Croix Legend ice fishing rods are a perfect choice if you are looking for durability and sensitivity while fishing for those low biting fish. These Legend rods can withstand the torture of ice fishing like if it falls on the hard ice or bending almost in half. These rods will bounce right back because of their graphite blank that their made of their sensitivity derives from the unique spring coiled strike indicator system that they are all equipped with. 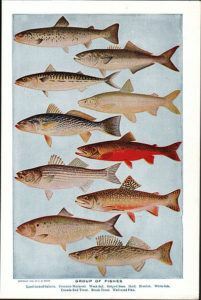 Most anglers get the lighter versions of the rods. The length of the rod is a personal preference. 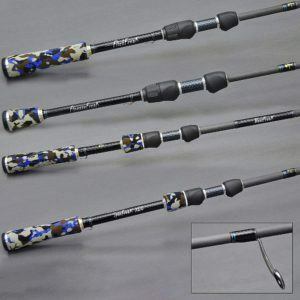 I would recommend this rod series to those fishermen and women who love to go pan, crappie and perch fishing. 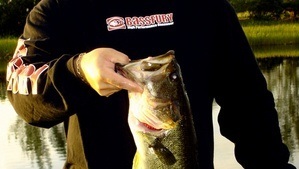 And also to those anglers who love to catch their limits day in and day out. Now, that’s good eating! Now, check out what’s available in the Legend Rods Series by clicking below. Thank you for reading and if you have questions or comments please send them my way. Remember, you can Catch Your Fish and Eat’em 2!